The second E, explanation, employs some organization of the facts, framed in such a way to identify the wrong-doing and its harmful result. Explanations are typically associated with some requested future behavior. “Don’t do that again;” “Please stop doing that;” “Next time do…” The second E builds nicely into the third E – expectation. Each dynamic is a result of more intense convincing. How do you convince someone to do something when this person has refused your request? Do you change your explanation and your facts when your explanation was not convincing? Should the conflict manager explore the explanation and investigate the facts? Doesn’t this place the conflict manager in the convincing role and therefore a participant in the conflict? I am not convinced that better explanations and better facts will resolve a conflict once it has moved into stage two. 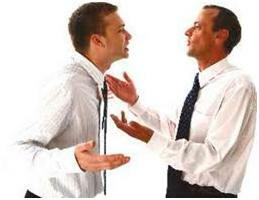 More than good communication skills will be necessary if the conflict manager hopes to be effective.